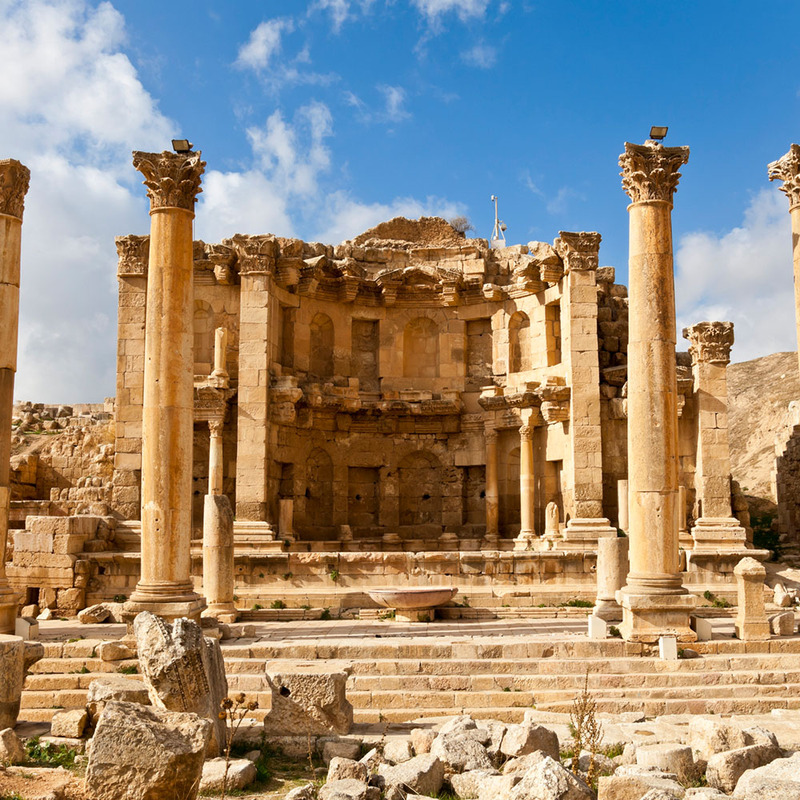 Jordan is a remarkable country, with extraordinary landscapes of red-hued dunes and windswept sandstone, and world-class monuments that include Roman amphitheatres and Crusader castles. From Moses to Alexander the Great, Saladin and our own Lawrence of Arabia, all have left outstanding legacies. 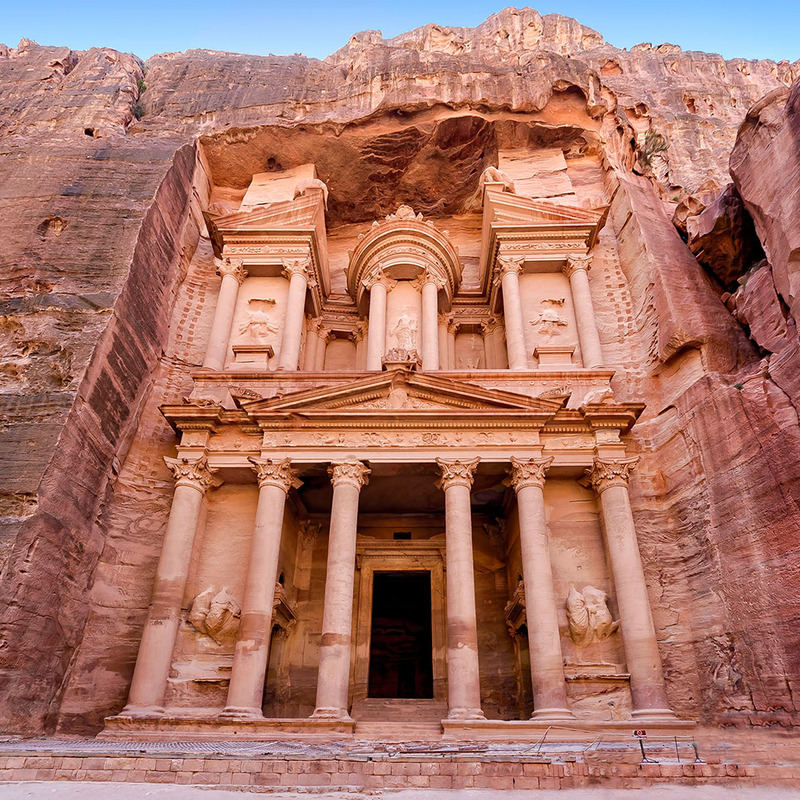 Combined with the legendary ancient city of Petra, you’ll have a captivating and unforgettable tour. Fly to Amman and transfer by coach to the vibrant Shmeisani area of the city, where we stay for one night at the four-star AlQasr Metropole Hotel, with breakfast. We set off early to make the most of the day, travelling south along the Desert Highway through the sandy heart of Jordan to Wadi Rum – the ‘Valley of the Moon’. Nothing prepares you for the awe-inspiring sight that greets us: the sandstone massif that TE Lawrence described as ‘vast, echoing and god-like’. The magnificent cliffs and stone buttresses rise sheer from the sea of red sand, together forming a timeless panorama of monolithic rocks. The twisted huge bulk of this network of canyons, rock bridges and ravines is one of the world’s most stunning desert environments. Quite apart from the visual experience – the silence is almost unnerving; bizarrely you cannot hear anything at all. After transferring to 4x4 vehicles, we tour the canyons and valleys before arriving at the Wadi Rum Space Village, a Bedouin-style tented camp. This afternoon, you have the opportunity to experience an optional camel ride in the desert before enjoying a traditional ‘zarb’ dinner – a delicious barbecue cooked for hours under the hot desert sand. All tents have twin or double beds with private shower and WC. 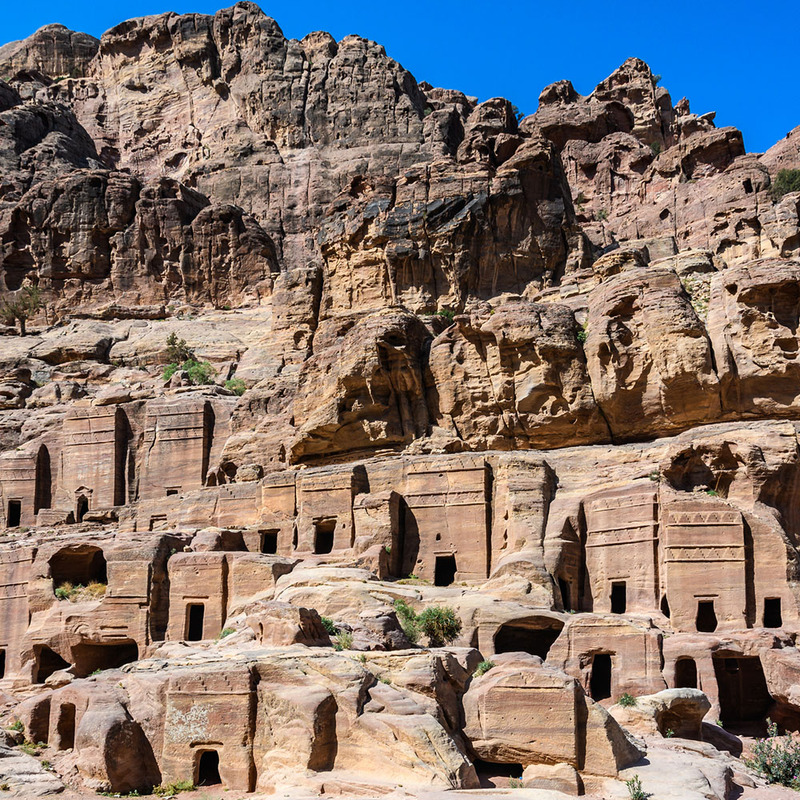 First, we see where vast caravans, some with over a thousand camels, gathered for their epic journeys, exploring the mysterious rock-carved rooms of ancient ‘hotels’ in the area, known as Little Petra. We stay two nights, with breakfast and dinner, at the four-star Old Village Hotel & Resort. Along with the Taj Mahal and the Pyramids, Petra is one of the world’s ‘must-see’ sights, firmly deserving of its accolade as one of the new Seven Wonders of the World. Famous throughout history, its huge wealth was amassed from its time as the centre of the ancient caravan routes, which traded as far as China and rivalled that of the Romans. A city to match was created, with sophisticated public buildings and libraries, lavish houses, colonnaded streets, and astonishing villas carved from solid rock. We walk down the increasingly narrow gorge and, just as you think the vertiginous sides could not get any narrower, the incredible vista of the Treasury appears like a mirage through a slit in the rock. The perfection of its proportions and the sheer vastness of this edifice are astounding. Beyond, there’s an entire city waiting to be discovered: the amazing Royal Tombs, the theatre, the Street of the Facades, the Great Temple, early-Christian churches, and the main colonnaded road that ran through the centre of this ancient but tremendously cultured city. The afternoon is at leisure, so you may wish to return to your hotel and enjoy its facilities or remain at the site to continue exploring. Heading north towards the Dead Sea we travel on the scenic King’s Highway, following an ancient caravan route. 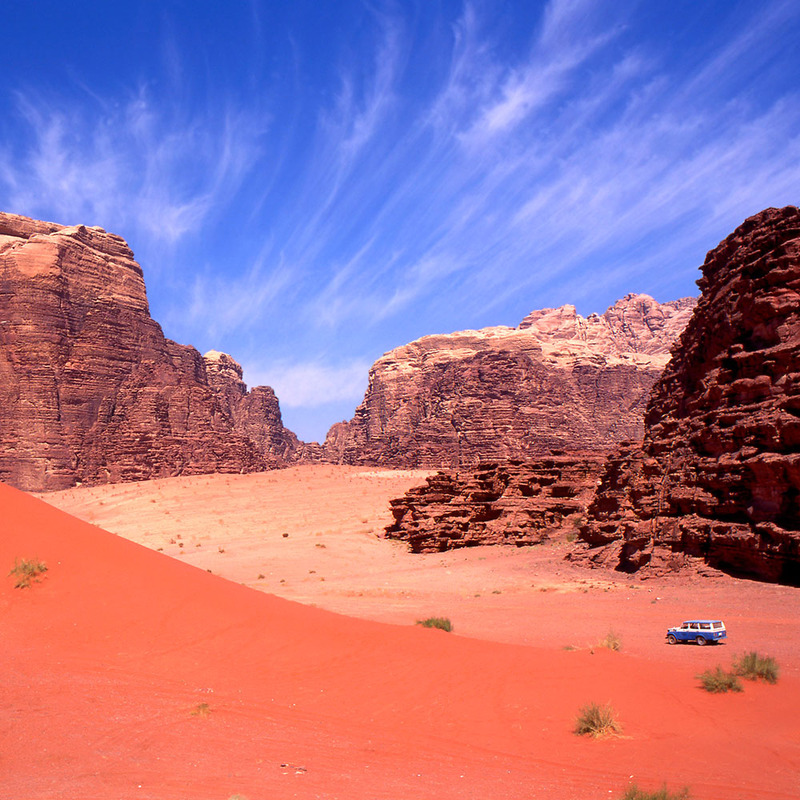 It passes through some of Jordan’s most spectacular scenery with views across arid, rocky peaks. 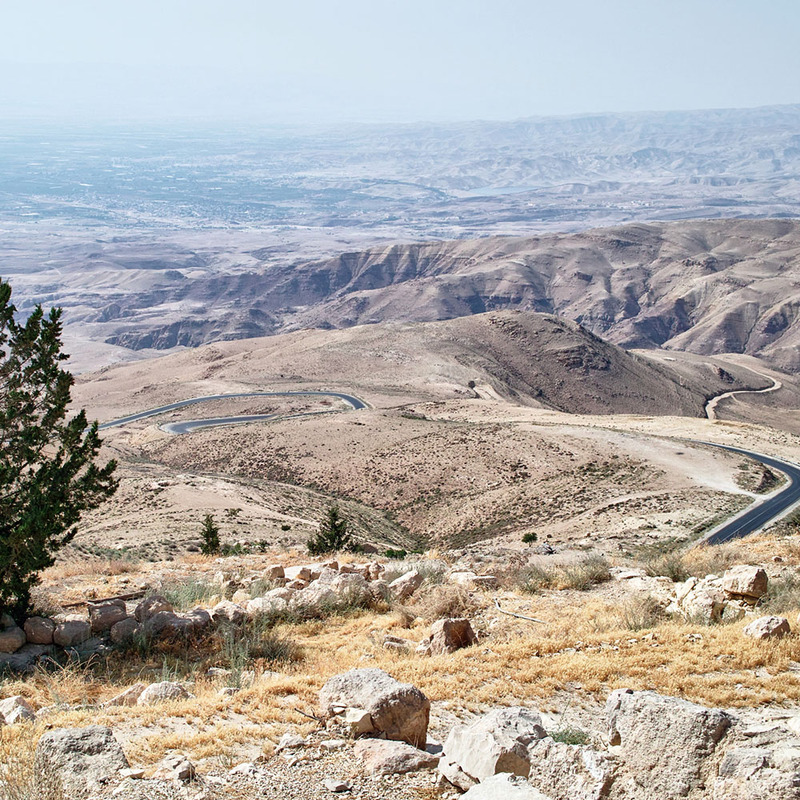 We visit the Crusader castle at Shobak, one of the region’s best-preserved forts, before continuing to Mount Nebo, where Moses first saw the Promised Land. According to Jewish and Christian tradition, the climb was so arduous that this remains his final resting place, leaving Joshua to lead his people over the River Jordan. We also visit nearby Madaba, where St George’s Church houses a superbly intricate, 6th-century mosaic map of the Holy Land. We stay for two nights at the four-star Holiday Inn Dead Sea, with breakfast and dinner, 400 metres below sea level. It has several swimming pools, spacious air-conditioned rooms, as well as a small beach. You must take a dip in the Dead Sea, it’s one of life’s ‘must-do’ experiences. Due to the salt content being 30 per cent, compared with normal seawater at 3 per cent, you float so easily. You cannot actually swim, but bob around like a cork and even while wading, you physically have to push your feet to the bottom to stand up! Ancient Jerash is the largest and best-preserved Roman city in the region, known as the Pompeii of the east. Its beautifully colonnaded main street and forum, the hippodrome, baths and theatre are a superb example of Roman town planning on a truly grand scale. The 12th-century Saracen Ajloun Castle was originally built on the site of a Christian monastery and commands panoramic views over the surrounding hills. Transfer to Amman airport for your return direct flight. The price of this holiday is per person, based on two people sharing a twin room. Six nights’ accommodation in four-star hotels with daily breakfast and dinner (plus camp-style accommodation in Wadi Rum); scheduled return flights to Amman; all guided tours and entrances to Wadi Rum, Little Petra and Petra, Shobak & Ajloun castles, Mount Nebo, Madaba and Jerash; all transfers; hotel porterage of one item of luggage and the services of a Riviera Travel tour manager. 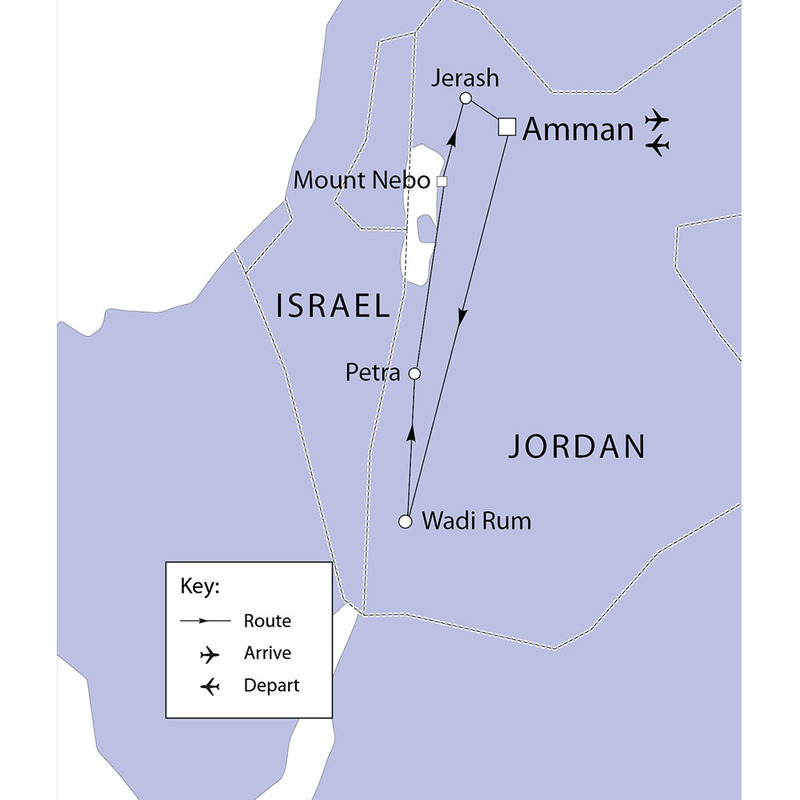 The Jordan departure fee of 10 Jordinian dinar per person is not included. This is payable locally. 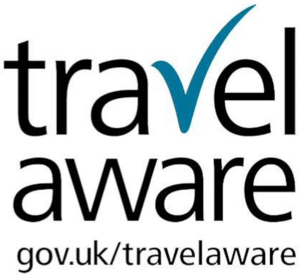 Whilst the travelling schedule shall pose no problems for people of any age in normal physical health, we would point out that in visiting a number of historical sites, paths may be uneven and uphill and we often enjoy walking tours of the main sights. Therefore, this holiday may not be suitable for clients of greatly impaired mobility. Please consult your GP regarding the appropriate inoculations required for Jordan and Israel at least a month before departure.